So it seems that the Ravens had a bounty out on Hines Ward in the Monday night game in week 4. However I can’t help to think that they are not the only team with a bounty on this guy. Hines Ward is one of the most hated players in the league as far as opposing defenses are concerned. He plays and hits like a defender when he is on offense like no other player in the league. On top of that he is a wide out. So naturally teams want to take him out of the picture. The NFL is looking into the comments of Terrell Suggs but why? Bounties are fine in football as long as when you are in the game you are playing within the rules and not making illegal plays or hits when trying to take a person out the game. Plus who can take Hines out of a game anyway I don’t think it is possible. 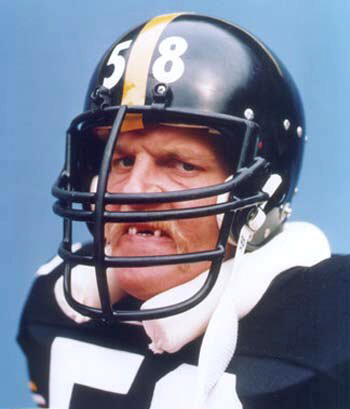 For goodness sake the man broke a linebackers jaw last week with a clean hit, sorry Keith, (can you say beast? ). What does it say when a WR is being bounty hunted? I’ll tell you it says he is one tough SOB. So what if Hines is considered a dirty player the fact of the matter is on any given Sunday he is going to be a D-Backs worst Nightmare.